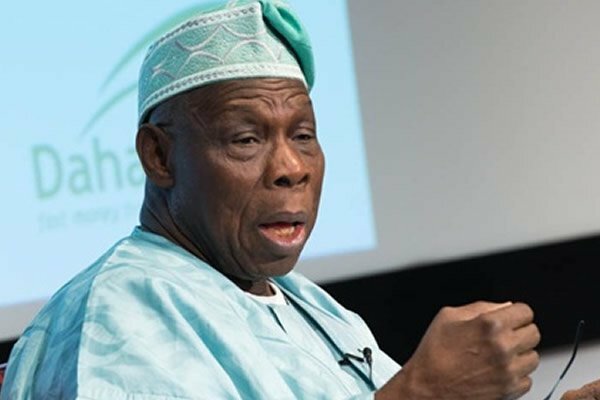 The Northern Elders’ Forum (NEF) have blasted former President Olusegun Obasanjo for criticising President Muhammadu Buhari’s government despite his failures as president of Nigeria. The Spokesperson of the Northern Elders Forum, Prof Ango Abdullahi described Obasanjo’s statements to Buhari and his criticism of the All progressives Congress-led government as a shame to the ex-president who once sought third term, yet parading himself as ‘holy father’ of Nigeria. He told reporters, “Nigerians are very good at blame games; blame others for some of their own faults. This is what we have been doing over the years, trading blames, instead of looking at problems objectively together and trying to find common solutions to them. I can give you an example. The former President Olusegun Obasanjo’s letter to President Muhammadu Buhari is one. “From onset, I am not defending the president or anybody in government, but looking at the letter on the basis of Obasanjo himself – a two times former leader in Nigeria. The thing that is baffling me is that he is claiming to be the, “Holy Father”, of the Nigerian project. “He was the head of affairs between 1976 and 1979, and he has forgotten that he was the president for eight years, between 1999 and 2007, and even at that, he tried to manipulate the constitution to elongate his tenure beyond what was constitutionally allowed. Here is a man that sees himself as the only perfect former president of Nigeria. I remember very well that he didn’t spare former President Shehu Shagari, who succeeded him in 1979; he didn’t spare Buhari, who toppled Shagari; he also lashed out at Ibrahim Babangida during his own tenure; he still went after Abacha and so on. “I cannot understand how Nigerians are hailing him, and I couldn’t believe that the only perfect former Head of State is Obasanjo. This is ridiculous. It is even a shame that we allow this kind of space in the minds, and also in the political space of this country; to try and claim this and using it as one of the African leaders and so on, and roam around the world on our behalf. It is really shameful on us, but you see hypocritical politicians going to Ota on pilgrimage, when there are a lot of people for them to go and learn something from, morally and politically. But here is a man, who is busy parading himself, as the righteous “Holy Father” of the Nigerian project. I totally reject that, and I think I know him well enough from 1976 to date.